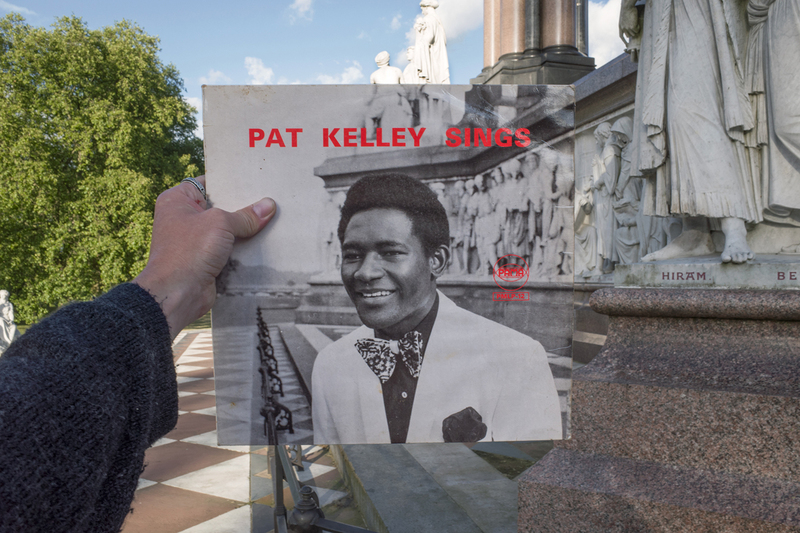 Photographer Alex Bartsch has set himself an ambitious mission to track down the locations on the sleeves of iconic UK reggae records. 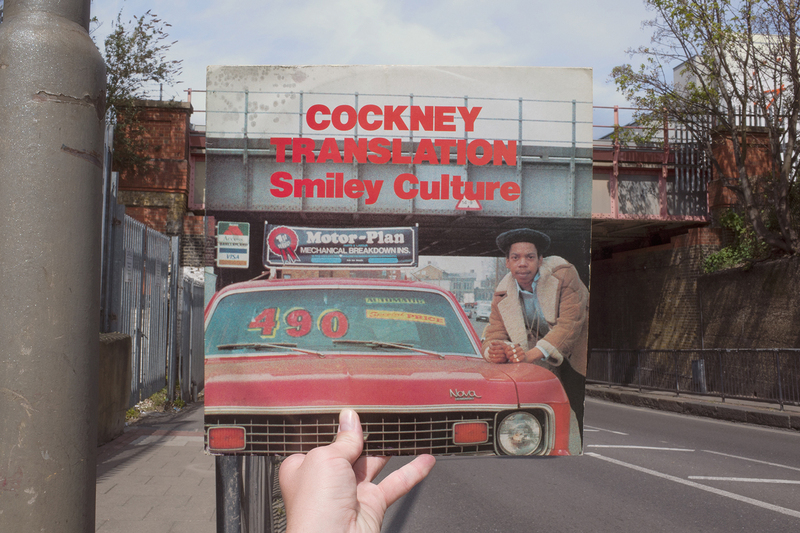 Photographer Alex Bartsch has set himself an ambitious mission to track down the locations on the sleeves of iconic UK reggae records released over two decades, between 1967 and 1987. 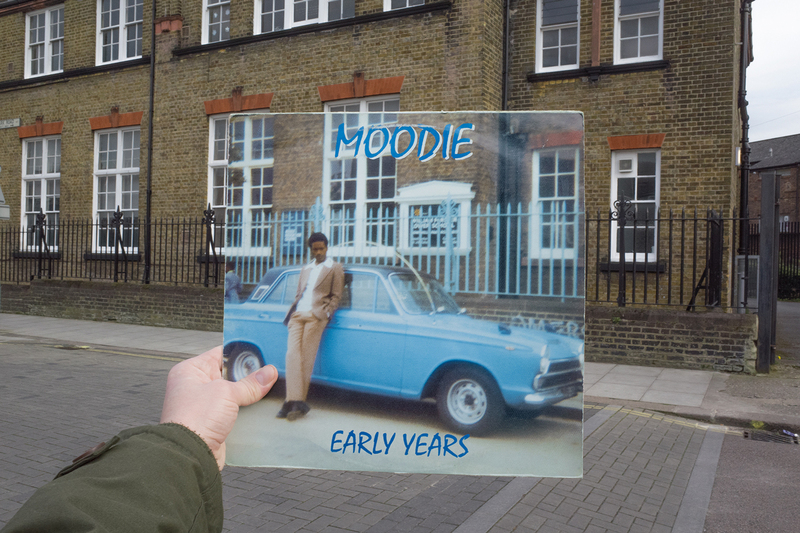 London has had a long and illustrious relationship with the evolution of reggae in the UK. 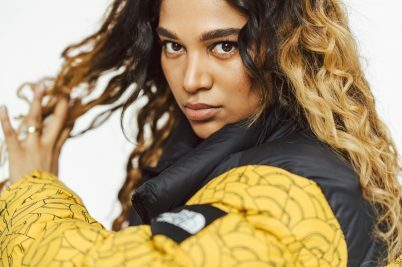 Unlike any other genre through the ‘60s into the ‘80s, it has served as a tool to galvanise emerging communities and bridge cultural divides. 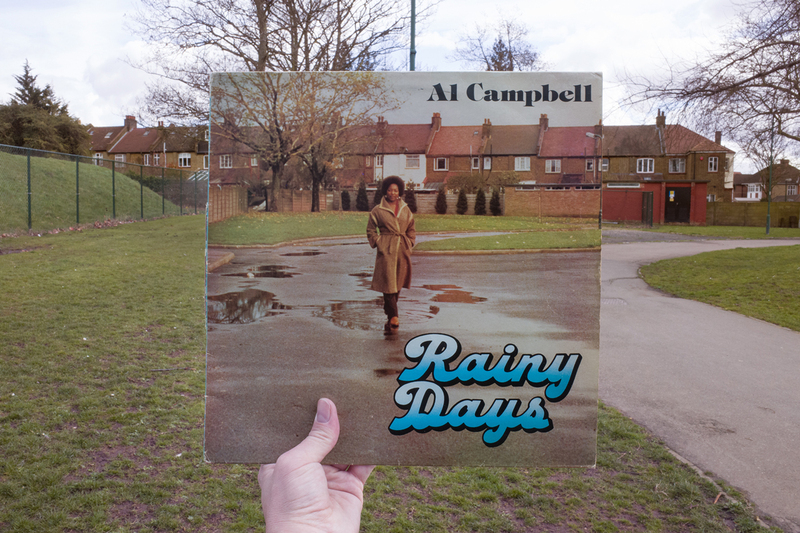 Alex Bartsch is a London-based photographer who will be honouring the invisible marks reggae has left on London’s landscape by photographing famous record covers, in situ. 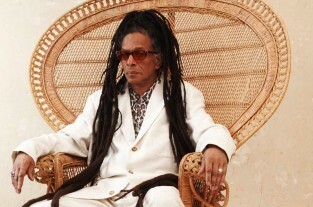 Alex’s appreciation of reggae was a gift from his father and in addition to living in Brixton – home of Eddy Grant’s Electric Avenue – a project was born. 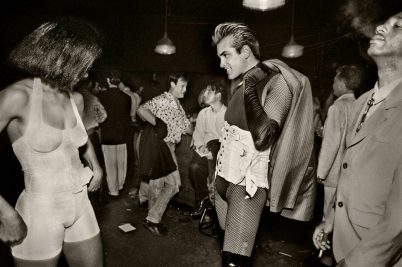 Alex will be using his personal record collection, spanning from 1967 to 1987, to launch a Kickstarter campaign to turn these nostalgic photographs into a book. 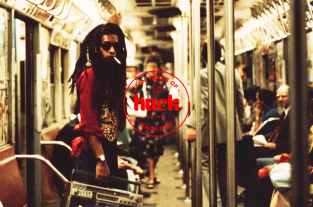 When did your love of reggae begin? My dad introduced me to Bob Marley when I was young. About 10 years ago I started collecting records, mostly reggae music. I just like soulful music and reggae fits well in that category. Why does vinyl still play such an important part to our musical experience today? For me I just like having the physical form of the music. 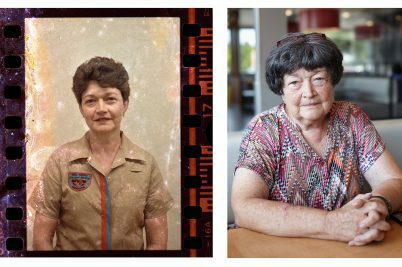 Just like in photography, negatives are the physical form of the photograph. Vinyl is the same for music; it’s something you can hold in your hands. 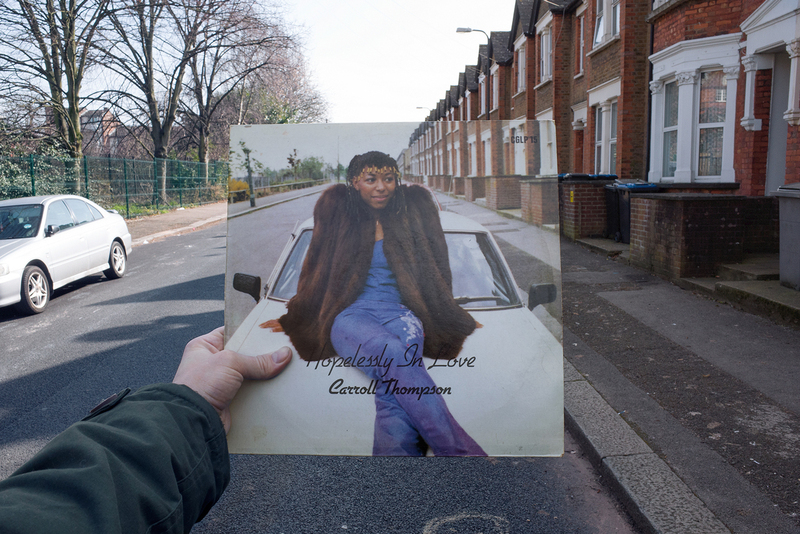 Have you met any of the original photographers or artists featured on the record sleeves? I contacted some of the photographers, artists and producers. 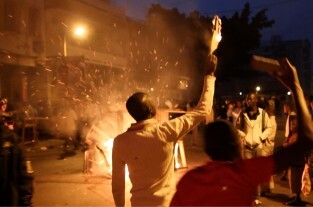 It was interesting to hear their stories and some helped me find various locations. 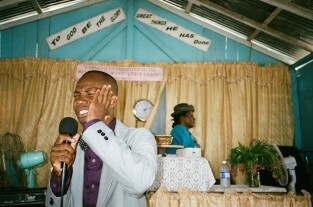 Richard Holt who photographed some of the Trojan covers told me the location of Jah Woosh’s Religious Dread. I had spent months looking for that one and without his help I don’t think I would have found it. 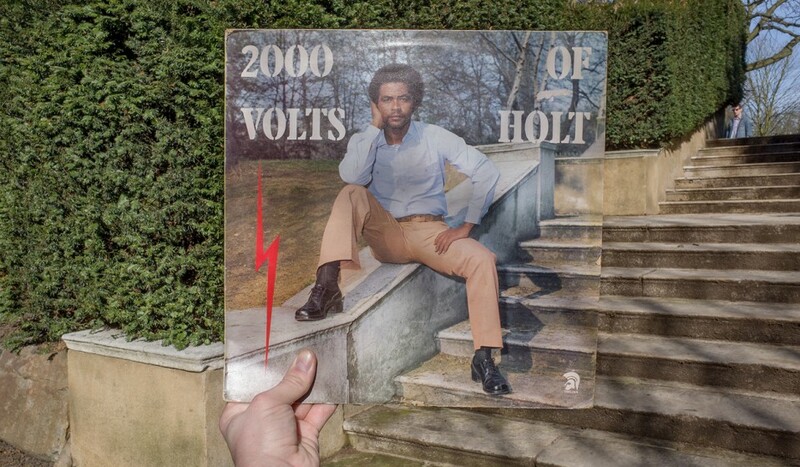 I also met Desmond Bryan who worked at Black Music/Starlight Records because one of the covers was taken in his back yard and I needed him to let me shoot that cover in his garden. What methods of detective work did you undertake to find these locations? Perseverance is a good tool! I have spent hours looking through images on the internet for a place or landmark. It often starts with the information on the record sleeve but many of them don’t offer much to go on. I have learned through doing this project that a good place to start is the area where the label was based. Sometimes it was just outside the door of the record label. 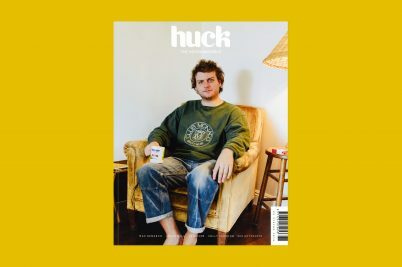 What was the most difficult cover to shoot and have there been any individuals unsympathetic to your project? King Kong’s Trouble Again was a difficult one. The cover photo was taken on one of the shop’s rooftops on City Road. After tracking down the owner of one of the flats above I was told that she was a difficult woman and wouldn’t agree to let me onto her roof. So, I borrowed a ladder to climb onto the roof myself but when I got there I met the owner of a restaurant on the same stretch who agreed to let me through one of the flats above. No ladder needed. Thank you Tas Firin Restaurant! With London’s perpetually changing landscape were there any locations that had ceased to exist? Surprisingly most of the cover locations I was researching had not changed much. Music House Vol.1 on Trojan has now disappeared. There’s a couple of records where I don’t know their location, maybe they were replaced by flats or local supermarkets and have disappeared now. 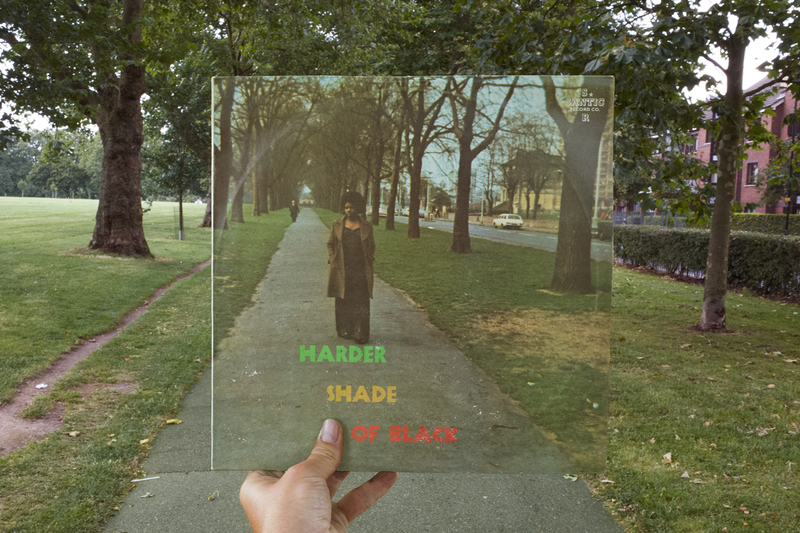 Check out Alex Bartsch’s Kickstarter campaign for Covers: Retracing Record Sleeves in London.